Daniel had quite an adventure in a den of Lions and the Greek Hercules was compelled to strangle such a beast, but at a still more ancient date heroic Samson tore one quite in two, at the time when love first came into his life. To picture that section of the sky where the Sun holds forth in all his courage and all his strength from July 23 to August 23 each year, the section which in the natural chart of man relates to offspring, to pleasures, to gambling, and to affairs of the heart, the ancients chose the king of beasts, the dauntless lion. Samson was one of those unfortunates to whom our sympathies go out, present in every community and in every period of the world, who loved not wisely but too well. He was a good chap, but always unfortunate in his love affairs. His intentions, as a youth, were honorable and just. He met a young woman who found favor in his sight, and being in love with her, sought in honor to make her his wife. But his parents were opposed to such a match. This woman was of a different faith, they wanted nothing to do with her, and so Samson’s troubles began. A Lion, related astrologically to the house of pleasure, is a universal symbol of desire. If the desire be spiritual the creature is represented in its beneficial sense, as when Christ is termed a Lion of the tribe of Juda; but if the desire be gross, such as leads to destruction, the beast is shown antagonistic, as when the devil is mentioned in the Bible as a roaring Lion. Thus when Samson in love with the girl, was met by a young lion which roared against him, it is to be inferred, especially as his parents disapproved, that he was beset by passions which raged within. But, as is set forth at considerable pains, his life up to this time had been without blemish in thought or action, his mother being carefully instructed even before his birth. The young Lion thus was easily conquered, and whatever his thoughts for the moment may have been, they were quickly vanquished by those of a highly spiritual kind. No type of nourishment is quite so high in its symbolical significance as honey ruled by Venus, and made from the nectar of flowers. It thus represents a spiritual food. Genius in every age and clime has been inspired by love. As the love is exalted so does genius soar to higher levels of expression. Love has creative power, therefore Samson, having again talked with the girl of his choice and exalted by his adoration, partook of spiritual nutriment, tuned in on energies which brought him spiritual strength, as symbolized by the honey he found and ate, which the bees had made in the carcass of the roaring lion he had slain. The conversion of the roaring lion into honey with which he fed his soul, and which also proved acceptable to his parents, is expressed by psychologists of the present day as the sublimation of desire. As already pointed out, in practical astrology the sign Leo is related alike to love affairs, to gambling and to entertainment. Therefore it was quite in order, from a symbolic point of view, that the culmination of Samson’s first love affair in marriage should be celebrated with a feast to which other young men were invited, and that this, in turn, should lead to gambling. The riddle proposed by Samson, on which the wager was laid as to its correct solution, is the riddle with which every person is confronted, and on the solution of which depends his life’s reward. Samson knew the solution of the riddle; but as events later transpired they show, like many another, that he did not always practice what he knew. With the thought in his mind of the lion he had slain, out of which he had obtained honey, he said to those who came to his entertainment, "Out of the eater came forth meat, and out of the strong came forth sweetness." In the sense of Samson’s riddle only those who have can give to others; and those who have the energy to benefit their associates must acquire it from some already existing source when the vegetables from the garden are eaters; for they consume water and minerals from the soil and carbon from the air. This is generally recognized; but in the second part of his riddle Samson went beyond the commonplace. Not the observation that only those of outstanding abilities are able to be of much help in the progress of the world as such. But when he implied that spirituality, as symbolized by the honey, depends upon strength, he sets forth a great truth. Moses made use of material wealth for spiritual purposes. But here is a teaching that desires, even the roaring desires which Samson met on his visit to the Philistine woman, can so be used. In fact, the implication is that desires such as are symbolized by the lion are the source from which spiritual powers most readily can be derived. The Key phrase of Leo is, I Will, and people born when the Sun is in this sign commonly exhibit more than the average amount of that fixity of purpose which goes by the name of will power. Yet power of will itself is dependent upon ability to keep the desires focused on the objective to which once they were so strongly attracted that a decision to follow some line of conduct toward their realization was made. Therefore, the stronger the desires are which an individual has, the greater will be his will power if he can keep them, instead of running wild, turned into some particular channel of his choosing. In order to accomplish this there must be the willingness, when occasion requires, to face disagreeable situations. Such willingness is called courage. Courage is of different kinds. Samson had the courage to meet physical peril of the most dangerous sort; but not the courage to resist the pleading of a woman, even though it meant his certain ruin. For that sweetness which comes from the strong, which is the manifestation of spiritual growth, the desires must not be diverted from their lofty aim through wavering in the face of obstacles. To desist, to give in to another knowing such yielding to be wrong, is moral cowardice. In spite of Samson’s physical courage he was a moral weakling; for when his newly acquired wife tormented him to tell her the secret of his riddle, after a time he grew so weary of her complaining that he took the line of least resistance and told her all. She, telling those who sought to solve the riddle, caused him to lose his wager. And although at some later date, linking the common rulership of love affairs and gambling, someone coined an ameliorating phrase that to be unlucky at cards is to be lucky in love, Samson’s experience, like common observation, brings its complete refutation. He lost not merely the gambling stake, but his wife as well. One might think that one experience of this kind would have been enough for Samson. Yet in our daily contacts of life such failure to profit by experience is a matter of common observation. A certain weakness is so strong, as the birth chart reveals, that the individual makes the same blunder over and over again. It is one of the functions of astrology to indicate how this can be avoided. In Samson’s later, and even more disastrous love affair, the source of his strength, the cause of its loss, and how at last it was regained are set forth still more clearly. But this clarity is present only when hair, which like honey is ruled by Venus, the planet of love, is recognized as a common object used in universal symbolism. When Delilah implored Samson to tell her the secret of his strength he tried by means of subterfuge to throw her off the track. He told her that if he were bound with seven green switches he would be unable to break them. So she bound him thus, and called as if shouting to his enemies; but he broke the switches with the greatest ease. As she continued to nag him for his want of trust in her, later he said that if he were to be bound with new ropes he would be unable to free himself. But when she trussed him up with such strands, and called to his enemies who lay in readiness to capture him, these also he broke like threads. Then he told her that if she were to weave the seven locks on his head it would render him helpless. Yet when she had done this, and fastened him by the hair to the loom, and he awoke, he went away, carrying the pin of the weaving beam, with no more difficulty than he had before. Finally, however, the moral cowardice of the man caused him to yield to her entreaties, and he told her all he knew; that his strength was in his hair. So she shaved his head and his strength departed from him. She called his enemies. They put out his eyes, placed him in fetters, and made him do the grinding in the prison house. The seven locks of hair which she shaved from his head are of the same symbolic significance as the honey taken from the lion’s carcass; for both hair and honey are ruled by the planet of love. But here, instead of acquiring spiritual energy through the sublimation of his desires, he is represented as having lost the energies he already possessed through moral cowardice. The seven locks which were shaved from his head were symbols of great desires, which, so long as present furnished the energy for tremendous undertakings. But when, through lack of courage to resist that which deflected him from his purposeful course of life, he permitted himself to be shorn of desire, in other words, when he gave up to the importunities of life, his strength went from him. Yet later, when his hair grew long again, symbolizing desires that could be converted into will, and they had taken him into a house where his enemies were collected that they might have fun with him, he pushed down the pillars, bringing their destruction along with his own demise. The text thus follows: Any Accomplishment Truly Worth While Requires the Exercise of Courage. In form, the cup placed in the sky is similar to those vessels used in ancient times, and in many regions of the earth today, for holding burning coals. This heat producing quality is quite understandable in light of the constellation’s use to picture the fiery decanate of the fixed fire sign, the 10 degrees through which the Sun must pass from July 23 to August 3, when commonly the days are hottest. Therefore it represents the fiery furnace into which, as related in Daniel 3, Shadrach, Mesach and Abednego were cast; the furnace which, for their special destruction, had been heated seven times hotter than was the ordinary custom. So hot was it, and so great was the haste of Nebuchadnezzar to have these men—who fell not down in worship when all the people heard the sound of cornet, flute, sackbut, psaltry and all the other kinds of music which Leo rules—consumed in flames, that those who threw them in perished of its heat. As the desires which Leo rules, when their associates are bad, burn the flesh and sear the soul, so did the unregenerate worshippers of lust perish by the fiery furnace. But the three companions who refused to bow the knee to sensual pleasures, who still earlier with Daniel had refused defiling food, had formed spiritual associations for their desires. Thus when Nebuchadnezzar looked into the furnace where they had been cast, instead of men who had been bound and thrown into the flames, as desire is wont to bind and burn its own, he saw the three walking about unhurt, and with them was a fourth, who appeared like the Son of God. In very truth, it is that with which desire associates that determines its power to injure or protect. If its associations are spiritual, as those of the three companions are revealed to have been, it consumes and destroys as related in this story from the Bible. Still further back in Bible times, but not back so far as Noah, the cities of Sodom and Gomorrah perished because of licentiousness. They were wiped out not by flood, but by fire and brimstone from heaven. Yet even as Shadrach and his companions escaped unharmed, so did Lot and his two daughters escape the holocaust of that time. This again recalls the universal tradition that the world at times is swept by floods and at other times by fire. The period of such cataclysms, according to the stellar doctrine of the past, is when the Vernal Equinox moves backward from the fixed fire of Leo into the movable water of Cancer; or when it passes back from the fixed air of Aquarius into the movable earth of Capricorn. Either as to the time or the particulars of the two types of cataclysms we have nothing more definite than tradition. But that some such cataclysms really did occur, wiping out early civilizations, there is increasing and positive evidence to show. At the time this is being written (1935) the latest such conclusive evidence is that furnished by the explorations of F. A. Mitchell-Hedges in Central America. There he has found thousands of relics—which have been presented to the Museum of the American Indian, New York, and to the British Museum, London—of a civilization infinitely older than that of the Maya or of the Inca. While a different culture from that of the Maya or the Inca, the similarities caused the British Museum in an official statement to express the opinion that it is an ancient culture from which the ancient forms of culture were differentiated over Central America. "Your own observations, and the United States Government surveys in Nicaragua, prove conclusively that at some remote period a tremendous earth movement of cataclysmic force must have taken place in that part of the world . . . and your excavations have actually unearthed the cultural artifices of a prehistoric people that existed prior to the great earth movement . . . and your discoveries open up an entirely new vista in regard to the ancient civilization of the American continent." Mr. Mitchell-Hedges says his research has revealed that at some remote time a great land area stretching eastward from Central America sank and was engulfed by the sea, and that during this gigantic geological readjustment a portion of what had been seabed was heaved upward to become land of considerable height within the area now known as Central America. Volcanic action of magnitude must have accompanied this cataclysmic change, during which his evidence goes to show, a great and cultured race of men were destroyed. A few, fleeing to the tops of mountains and upland, were able to survive for a time on the newly made islands, where they left behind the imperishable objects of their own handicraft, from which Mr. Mitchell-Hedges, with the support of the two great museums mentioned, is endeavoring to reconstruct their life story. As to the date at which this pre-Mayan civilization existed, he believes it flourished not later than 15,000 BC, and possibly that it dates back of 25,000 BC. It is not a legitimate function of tradition, even of stellar tradition, to set dates of events in the past that should be left to the painstaking research of archaeologists. Yet it may not be amiss to determine the date when, according to stellar tradition and the pictured constellations, the last period of great cataclysms by fire took place. If Mr. Mitchell-Hedges is correct in his opinion, that the cataclysm of which he finds the remains happened over 15,000 years ago, this would take it back of the time of the period of floods, back of the time when the Equinox passed from Leo into Cancer. Therefore, we should look to the opposite point; to the time when the Vernal Equinox passed from the fixed air of Aquarius into the movable earth of Capricorn. Such a position not only indicates that whatever happens to the water it is the land which moves first, but that when the Equinox thus crosses from fixed, air into movable earth, and the Sun at the time of this Vernal Equinox goes down in the west as if submerged, the Fiery Furnace, Crater, rises in the east, triumphant, and starts pouring fire down upon the earth. And as timing this event, the Pleiades, which are often called the doves, are then directly on the midheaven not at sunset, but at the rising of the Sun. According to the latest and most refined astronomical calculations, the complete precessional cycle requires 25,868 years, instead of the round number, 25,920 years, which the ancients more commonly employed. If, therefore, as both tradition and the pictures in the stars hold forth, the period when stresses and strains are such as to make fiery cataclysms probable relates to the passing of the Vernal Equinox from Aquarius back into Capricorn, the dates are difficult to ascertain. Taking 1881 as the date of the Equinox passing from Pisces back into Aquarius—that is, 30 degrees back from the place where in ancient times it had been ascertained that the commencement of the circle of stars coincided with the commencement of the circle of signs—it must have passed into Capricorn just eleven signs earlier, and will again reach such a point one sign later. Eleven-twelfths of 25,868 gives 23,712 years before 1881, or 21,831 BC as the date of the last such period of fiery cataclysms. And one-twelfth of 25,868 gives 2,156 years after 1881, or 4,037 AD as the next such period. On these dates, at least, at the commencement of the astronomical year, as the Man goes down in the ocean Crater comes up and so turns as if it were pouring fire and brimstone down upon the earth. In the various stories from out of the past in which this fiery furnace figures many who are subject to licentiousness perish, but others more pure in heart are saved. It is not the zeal with which they live that causes the destruction of some; for neither Lot nor Shadrach and his companions, were negative people; but their zeal was directed constructively. It is not the finding of pleasure, but the seeking for pleasure in the wrong things, that leads to dissolution. Because action flows so spontaneously and without friction toward those things in which pleasure is found the most successful way of defeating the pull of forbidden desire is to cultivate a still keener pleasure in more beneficial things. When the pleasure to be found in these is greater, the thoughts will turn in this direction, and the forbidden impulses will die for want of nourishment. The attitude toward nearly everything in life has been conditioned through the experiences associated with it. To the extent the experiences with a certain type of activity have been painful does thought of it bring distaste to the mind. To the extent its associations have been pleasurable, do these become linked to it in the mind as an inseparable part of it, exerting a distinct attraction. Through following the methods indicated by an understanding of this principle it is possible to cultivate a distinct liking for almost anything. There are always many phases of a thing, which if sought for, can make it appear in a pleasurable light. Even the thought of the advantage of having a will power strong enough to continue what otherwise is a distinctly unpleasant activity, may, and often does, so strongly associate the activity with thoughts of satisfaction that the activity in time becomes a pleasure. In fact, it is only through the advantages that are associated with it that people commonly learn to take pleasure in hard work. 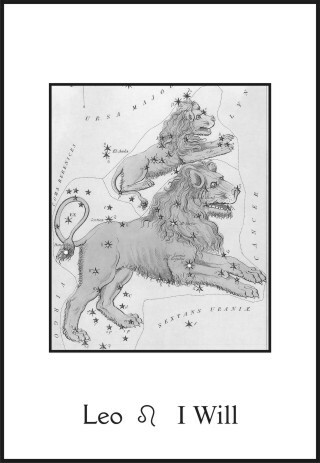 People born while the Sun is in this first decanate of Leo commonly have a desire for, and some ability in Rulership. The text derived from Crater is: To Learn to Like Anything, Associate With It as Many Pleasurable Thoughts and Sensations As Possible. 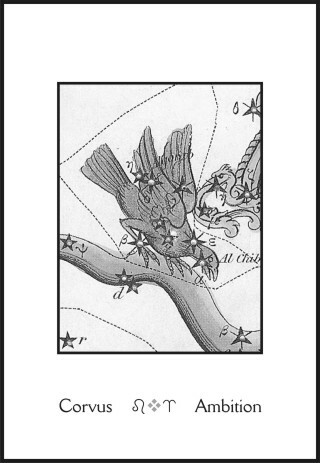 The very first glance at a chart picturing all 48 of the ancient constellations, such as that illustrating Chapter 1 (Serial Lesson 71, page ), brings to the attention that two of the constellations, quite far apart in the sky, portray the same mythological creatures. 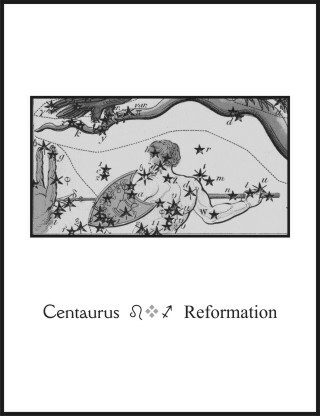 Part horse and part man, the only difference between Centaurus, which pictures the Sagittarius decanate of Leo, where the Sun may be found from August 3 to August 13, and Sagittarius, which pictures the sign where the Sun may be found from November 22 to December 22, is that Centaurus is armed with a shield and spear, while Sagittarius has a cloak and uses bow and arrow. 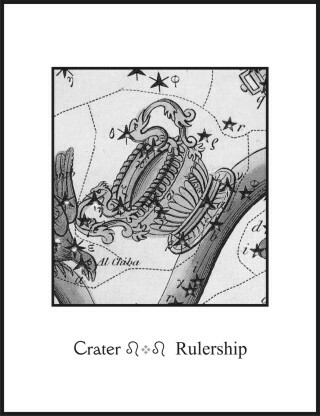 This identity of the pictured forms at once suggests that the ancients who placed these pictures in the sky to convey information in terms of universal symbolism, desired that these two sections of the heavens be closely linked in the teaching they wished to give. It certainly is not coincidence that one larger and one smaller section of the zodiac should be represented by similar creatures; or that those chosen should indicate the human qualities carried by a horse. Rather, especially as the huntsman and the spearman face as if each were traveling toward the place of the other, it signifies that there is a movement of the same type of influence from one station in the zodiac to the other. We are bound to infer, therefore, that the teaching signified, and the traditional story left to give more detail, includes a movement, a carrying from one place to another else why the horses’ legs?—and that its comprehension requires several stations in the zodiac, the two most important being those pictured by the roving horsemen. If we follow the simplest and most obvious method, which is that always employed by those who traced these doctrines in the sky, it will lead us to commence with Sagittarius because it pictures 30 degrees, and is therefore more important than Centaurus which pictures only 10 degrees of space. We may be sure, however, that a child or children will play a part in the story, because the smaller influence relates to the middle decanate of Leo, which has natural rule of children. Sagittarius, ruled by Jupiter, and the Sagittarius decanate of Leo, also having Jupiterian rule, are known to relate to gifts. Astrologers say that what Jupiter brings comes freely as the result of goodwill rather than through work as is the case with Saturn. Hence it is that immediately after the Sun leaves the Sagittarius sign in winter is the time when gifts are made. Christmas is not on the day when the Sun reaches its farthest declination south, which is the day when it crosses from the manger of the horse to the manger of the goat, because for three days it remains at this lowest, most southern, point before starting back to bring new life and light into the world. Giving it three days grace after December 22 insures that on Christmas day the Sun will be moving northward in declination and that the days will have started to get longer. They will thus continue to lengthen until June 22, when the Sun reaches the topmost point of the home sign, Cancer. The topmost part of a home is commonly the chimney. Therefore the Sun, in coming to the home from the place where Jupiter brings his gifts on the line dividing Sagittarius and Capricorn in winter, must touch it first at the highest spot, the chimney. And to reach it, he of course comes through the air. In vain you will search the Bible for mention of Christmas tree or Santa Claus; yet that they are linked traditionally with the Centaur picturing the middle decanate of the section of the heavens relating to children seems certain; for on that day when they are prominent it is said a child was born. Born in a stable underground as the Sun yet represents; for it has reached its lowest point when between the horse and goat, from which time it starts to gain new strength. Santa Claus, like the horsemen in the sky, one of which relates to the time of winter’s cold and the other to the heat of summer, portrays two seasons of the year. His garb is chiefly red; for as representing the constellated Centaur is he not next the fiery furnace, Crater, where the heat glows fiercest? Yet also, to denote the snow of winter, the trimming of the garb is spotless white. The gifts he brings at Christmas time are tokens of still greater gifts to come, they are the promise that abundance will follow after the time of winter dearth when the heat from the Sun will have had time to ripen crops again. Still ahead, even though the days have started in their lengthening, is a period of privation and cold. Stored supplies may become exhausted, giving rise to dark despair; yet even at the entrance of this period does he give promise of better days to come. In his jovial manner and rotund figure he expresses the Jupiterian quality of Sagittarius, from which the Sun has just moved at Christmas. This is the sign of religion. And even as Santa Claus brings promise of material gifts; so religion brings an equal cheer and promise of spiritual blessings after the hard dark days of earth are done. Yes, the days are darkest about Christmas time. They are like those other days when hope so fades that nothing seems worthwhile. Therefore is it fitting that there should be joyous news of a happy future life. Santa, however, not merely represents Jupiter’s winter sign, but also a decanate of Leo, sign ruled by the Sun. And anyone who has viewed the radiant rising Sun on a cold and frosty morning will remember the resemblance to Santa’s red circle of a face. Yet the youngsters of the land, whose special joy he is, would not recognize the rotund fellow if divested of his whiskers. They are an essential part of his makeup because at Christmas time the Sun has just moved into Capricorn, and chin whiskers are the especial adornment of a goat. Horses customarily draw sleighs, therefore Sagittarius and Centaurus well could qualify; but as still more significant of the cold bleak winter days, reindeer are now used to take their place. They are more accustomed to ice and snow. Before this sleigh—which coming from Sagittarius, the Jupiterian sign of abundance, is filled with good things to overflowing—can get to the fireplace, Crater, it must land on top the house at Cancer. And thus really does the Sun. For after touching the highest point it reaches, which is where it enters the home sign Cancer, it immediately starts descending, as if going down the chimney, until it passes into the decanate pictured by Crater. It does not tarry in this fireplace, or hottest decanate of the zodiac, however, but at once moves into the decanate pictured by Centaurus, the other horseman of the sky. The feet, it is true, are ruled by Pisces. But ask any small boy or girl—such as is ruled by the Leo section of the sky—if it is enough to hang up the mere feet of stockings on Christmas evening. If I remember rightly, there is usually a hunt for stockings that are long and ample, such as come well up onto the thighs. And it is the legs thus covered by the longer hosiery that Sagittarius rules, and of which its decanate in Leo also must partake. The horseman of Leo is not the gift, but the one who brings it; for it is the Sun at this time of year that ripens the grain in the field and the fruit on the trees. The gifts which the traveler from the north thus brings, while related to the children of Leo, are pictured in the next sign to it, in the harvest sign, Virgo. It is really the Virgin Mother, not Santa Claus, from whom the gifts more directly come. The lady of the sky holds a palm frond in one hand and heads of wheat in the other; while Hercules, who pictures the middle decanate of the Virgo sign, holds in his hand the branch of a tree adorned with fruit. The fruit thus shown is the fulfillment of the promise made at the time when the nights were longest, just as the Sun turned back from its farthest distance away. This promise was not made by using a tree when it was filled with fruit; because such are hard to find at Christmas time. It was made by using a tree symbolic of perpetual life, by using an evergreen tree. The fruit to come, when ripened through the heat of the Sun in Leo, was represented by presents on that tree. And it was spangled with stars and bedecked with lights as a token that the Sun, thus moving through the firmament, was on the way to dissipate the winter’s darkness. At this yuletide time of year, still further to connect the passing of the Sun from Sagittarius to the Centaurus decanate of Leo, the sign of love affairs and pleasure, it is the custom to hang mistletoe with the privilege of kissing whomsoever passes under it. The mistletoe, like the Christmas tree, is of evergreen foliage, and thus symbolically promises everlasting life. But because it grows above the earth, apparently too pure and holy to touch the physical soil, it came to have a special spiritual significance. Its berry fruit, formed without polluting contact with the loam of earth, came to be looked upon as derived from an immaculate conception. Kissing under the mistletoe even in times not remote was a solemn and binding ceremony. It was the token of a chaste affection and the promise of marriage. More than that, it was the promise that out of the love then expressed should develop a new and more spiritual type of life. Such a life of spiritual endeavor, as Santa Claus and Centaurus clearly teach, is dependent upon what is done for others. It is the effort to give, rather than the effort to take, which promises a spiritual harvest. After all, in the realms of the future, after we shall have passed from this mundane sphere, the physical objects men set their hearts upon will have less value than the tinsel and gilded baubles with which they decorate the Christmas tree. 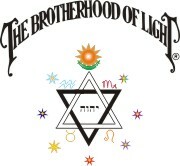 Those born while the Sun is in the Reformation decanate of Leo are often more energetic to bring beneficial changes. The text is: It Is More Blessed to Give Than to Receive, and to Receive in Full Measure We Must First Give of That Which We Already Have. One needs to know something of the habits and characters of crows and ravens to discern what the ancients must have had in mind when they placed one of these noisy, thieving, carrion-eating birds in the sky. Corvus is the name yet employed by naturalists to distinguish the genus embracing both birds, which are so closely allied that they are distinguished in the field chiefly through the noise they make. A raven has a coarse and croaking voice, while a crow vocalizes in a loud and raucous caw. One who is familiar with the ways of crows and ravens could be sure that they would never be used as universal symbols of any commendable trait or habit. Their one claim to admiration is their unparalleled ability to look out for themselves. Because they are destructive to crops, pulling the new sprouts of grain from the ground, and because in the cattle country of the West they do not wait for a crippled creature to die, but pick out its eyes and help themselves to its flesh as soon as they find it defenseless, relentless war has been waged against them by man. Yet so cunning are they that, with every hand raised against them, they are now more numerous than ever. Before going further into the habits of crows, it should be explained that people born while the Sun is in the Corvus decanate of Leo, from August 13 to August 23, are no more apt than other people to partake of the undesirable crow-like qualities. It is true that they have great Ambition, and as a rule are exceptionally able to take care of themselves. But it is only the occasional individual who permits this Ambition so to dominate him that he comes to have no regard for the feelings and rights of others, and uses them unscrupulously to realize his aims. Yet it was the function of the constellated pictures not merely to reveal those things which should be done, if one were to live the most satisfactory type of life, but also to point out the dangers along the way. And one of these dangers, to which many people are subject, and to which those born while the Sun is in the last decanate of Leo are particularly exposed, is portrayed by the character of the raven or crow. When Noah, in the ark, badly wanted information, because the raven is so keen an observer he sent one forth to get it. It saw the condition, but instead of reporting back to Noah it flew to and fro. It took good care not to perish, but neither did it return to the ark, and to find out what he wanted to know, Noah had to send out a dove. Even the feeding of Elijah was characteristic of the propensities of the bird. As related in First Kings, 17, there was great drought in the land, so that everyone was hard pressed both for food and water. Elijah had established a hiding place from his enemies by the brook Cherith; "And the ravens brought him bread and flesh in the morning, and bread and flesh in the evening; and he drank of the brook." Where the ravens found the flesh is open to discussion; but bread already baked does not grow on bushes, even in the promised land. The only way they could have obtained the bread was to steal it. And as they are noted for such pilfering the inference is that they grabbed it when its owner was not watching, or at least without the owner’s consent. Thus while Elijah benefited, someone else in this land of food shortage was deprived. Yet no blame can be attached to Elijah; for there was nothing to indicate he knew to whom the food rightfully belonged, or where to return it. As the constellation shows this racketeering bird, he has alighted on the back of the water serpent, Hydra, and is in the act of tearing a piece of the living flesh from it, as in the cattle country of the West he works on stricken sheep. Hydra is the longest of the constellations. It pictures the middle decanate of the sign of the home, Cancer; but also embraces in its length all four of the constellations relating to the different kinds of companionship; that is, companionship in the home, companionship in love affairs, companionship with employees, and companionship in partnership and marriage. We may be sure, therefore, that the characteristic which the ancients sought to portray by Corvus is one which quite commonly and quite painfully attacks and destroys these human associations. Perhaps to get a clearer insight of this matter it will be well to turn to the Greeks. According to their account, Apollo, the Sun, was deeply in love with Coronis and was jealous of her conduct. This jealousy developed into a desire to spy upon her; and as most fitted to do such unethical gum shoe work, especially where love affairs are concerned, he selected a raven, which in that day was still of purest white. Those who surreptitiously pry into the conduct of their associates seldom learn anything complimentary to themselves. It was almost a foregone conclusion, therefore, that the scandal-mongering raven would find something unsavory to tell. Although he partakes of other and forbidden food, chiefly he is a carrion eater. The more rotten the repast the better he likes it. So, true to his nature he came back to Apollo with gossip aplenty. His loudly wagging tongue took gross delight in relating, with spicy embellishments, all the details of a love affair between Corona and Ischys the Thessalian. It might have happened today, with all their pictures in the tabloids, so true to common observation was the outcome. The malicious carrying of tales, the prying of inquisitive noses into what are no concern of theirs, all too often wrecks the budding of some fine affection; or, as in this case, brings grief and tragedy where peace and happiness should have laid their heads. Apollo, enraged at the reports of his sweetheart’s infidelity, shot her through the heart. The crow, of course, had nothing to gain but his own malicious satisfaction. Nor commonly is there any benefit to those who exaggerate the misconduct of others. It is a pity, therefore, that as the poet has suggested, the whole scandalmonger crew cannot be painted red or blue, that all might know them; for something similar happened to the crow, and ever since that day he has been compelled to wear a cloak of black. Because gossip which relates the amatory experiences of others is so common, as witnessed by the yellow news sheets, as well as by neighborhood propensities, more people should be informed as to its origin. Freudian literature makes it plain that those who find a suitable outlet for their own creative energies are never given to such gossip. They are very little interested in the love escapades of others because their own love natures have been completely satisfied. In thinking about any experience there is a certain thought participation in it. In telling about the conduct of another, whether that conduct be commendable or the reverse, not only the one who does the telling, but also the one who listens, vicariously takes some part in the experience. Were this not true the movies would languish for want of patronage. People go to the movies, and read fiction, chiefly to gain experiences vicariously for which they inwardly yearn, but which their lives are too narrow to permit. That which constitutes the strongest longing in their unconscious minds, is that which they enjoy most on the screen. The office clerk whose most gallant act during working hours is to make entries in a book, inwardly longs for adventure. He is denied action and excitement in his life, and he goes to the movies to get them. He identifies himself with the dashing hero, delights in his valorous exploits, takes part in the downfall of the villain, and glories in the justification of those misunderstood. He goes home with a certain sense of satisfaction because a repression has been released. The shop girl whose life is devoted to pleasing customers over the counter, and who inwardly longs for romance, thrills with vicarious joy when the handsome hero on the screen, after surmounting terrific obstacles and facing dangerous hazards, at length triumphant, clasps the fair heroine to his manly breast. Nor should she be censured. To love and be loved is an imperative command of nature. Nothing is finer than honest love. And the shop girl, identifying herself with the heroine, is able thus to realize in some measure a longing which is both beautiful and natural. But the scandalmonger deals not with honest affection and in heroic and commendable actions. His tales are about illicit love. In telling and in hearing about, the morbid affairs of others, he takes part in them vicariously. Although he does not recognize this, and is the first to deny it, his unconscious mind identifies himself with the transgressor. Just as the office clerk finds some relief for his honest desire for adventure; just as the shop girl is able somewhat to satisfy her honest desire for romance and glamour; so the gossip, through tale bearing and tale listening is able to satisfy his desire for illicit, licentious, and ignoble conduct. As a crow or raven feeds largely on putrid flesh, so those who revel in relating the unseemly conduct of others feed their souls on rotten food. Their desire to discuss the vileness of others can only be interpreted as a desire on the part of their unconscious minds to do these same things, if they but possessed the courage. To the extent an individual talks about and thinks about that which is rotten, is this an expression of rottenness within himself. Those who are clean have a desire to keep away from filth. They do not revel in the sinfulness of others. Furthermore just as the clerk who identifies himself with the hero, cultivates within himself a delight in valiant and honorable action; and just as the shop girl who identifies herself with the sweet and admirable heroine, cultivates within herself pleasure in womanly conduct of the same high standard; so does the scandalmonger cultivate within himself an increasing relish for moral carrion. Repressed desires, even though unrecognized objectively, cannot be kept from finding some expression for their energy. And as the raven became black because he carried a black story, so that which is thought about adds its thought images to the soul. The text thus follows: Man Tends to Become That Which He Most Talks About and Most Thinks About.